Today’s classrooms have moved beyond the traditional lecture style classroom setting. Educators are focusing in on engaging and empowering their students and increasing collaboration in their classrooms by bringing technology in the classroom. 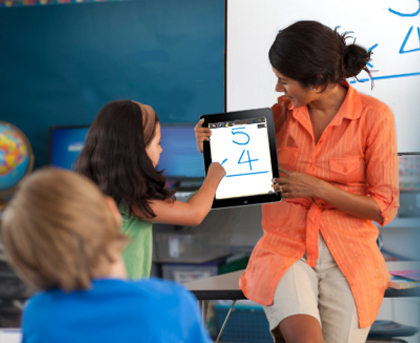 Schools all over the country are bringing the newest classroom technology onto their school wireless networks via programs like 1-to-1, BYOD, or combinations of the two. One of the first steps of implementing one of these programs is thinking about what types of classroom technology schools would like to integrate. There is plenty of classroom technology out there to choose from, Smartboards, tablets, document cameras, the list goes on and on. So the question is, what are the most effective learning tools improving education. Here is my list of the 3 learning tools that are making a big impact on education. I think for a specific type of technology in the classroom to be successful it must be multipurpose, easy to use, and most importantly engage students. Tablets like iPads in the classroom cover all of these key aspects. They get students excited and engaged in learning and make education a lot more interactive and collaborative than ever. Some students learn best with a visual, some audio, some absorb best by reading, some by games, etc. These mobile devices are a single learning tool that fits every type of learner. They also double as an e-reader, allowing students access to an endless library of books with the flick-of-a-finger, saving the school money of paper and textbooks. They also give educators with the ability to provide customized learning. These mobile devices can be a game changer in education. In a perfect world, I would like to see each student have a learning tool that allows them connectivity throughout the entire day. Let's face it, virtually every student has one of these devices making it a little more cost effective type of classroom technology. Smartphones are multidimensional, cost effective, and students adore them. Students enjoy spending most of their time outside of the classroom on them so what better way to get them more engaged in the classroom than letting them to use their beloved smartphones as a learning tool. They can be used to quickly look something up or watch video clips. Also, many can be used as a student-response system when combined with an application like Poll Everywhere. 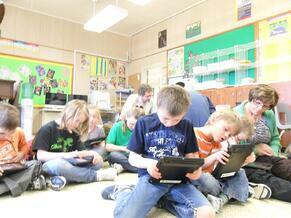 Overall, smartphones are a very smart option in classroom technology. Distance learning technology in the classroom like video conferencing technology essentially allows educators to do more with less. For schools dealing with increasingly shrinking budgets and overcrowded classrooms, it can be the perfect solution for improving education in any school or college campuses. Essentially, video conferencing technology provides students with the ability to interact with other students, guest lecturers, experts, and teachers across multiple campuses or even the other side of the world. Educators can reach more students by teaching and interacting with them in multiple locations and rural schools can offer previously unavailable classes. Students can even collaborate with other students and speak with experts in other countries. Video conferencing technology in the classroom may not be compact and mobile like their smartphones or iPads, but it will still create valuable experienced that will get student as excited and engaged as ever. What student wouldn’t be thrilled about touring a space station or talking with their friends in Asia? Overall, all 3 of these great types of technology in the classroom can provide remarkable benefits to any school or campus. The one thing they all have in common is that they all require a reliable and secure school wireless network to support them. 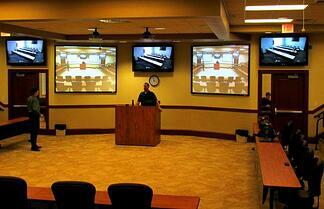 SecurEdge Networks has helped schools all over the country implement fabulous learning tools like these. We are the experts and are always happy to help. You can contact us here with any questions or for a free consultation. Also, check out some of our free guides for some more great info.